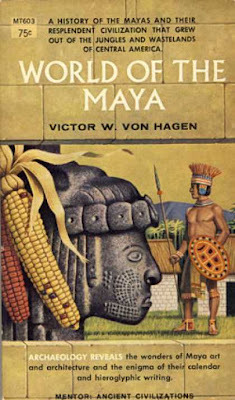 A history of the Mayas and their resplendent civilization that grew out of the jungles and wastelands of Central America. Archaeology reveals the wonders of Maya art and architecture and the enigma of their calendar and hieroglyphic writings. Obviously, some of the information in this book is now dated, but it is a classic in Maya history .